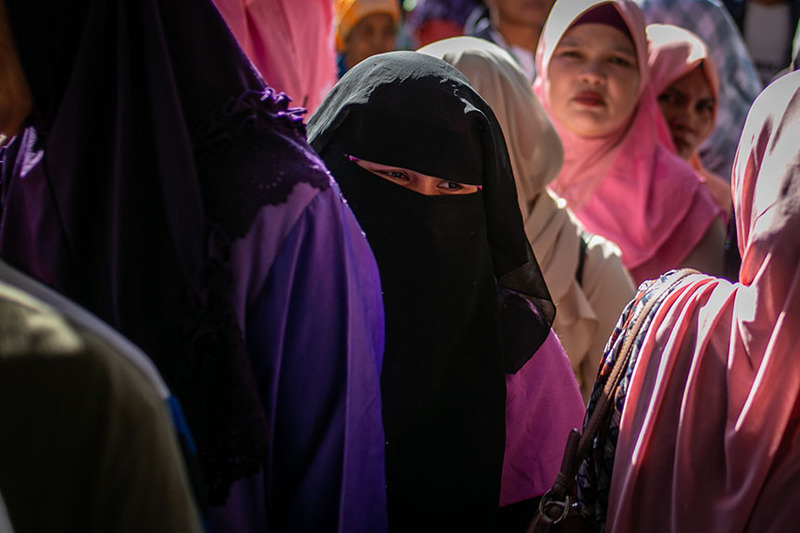 Moro women queue for their turn to cast their vote in Barangay Buliok, Pikit, North Cotabato during the Bangsamoro plebiscite on Feb. 6, 2019. DAVAO CITY (MindaNews/9 February) – A top executive of the state-owned Development Bank of the Philippines (DBP) called on Mindanawon lawmakers to pursue the proposed framework on Islamic banking in the Philippines for the development of the Bangsamoro Autonomous Region in Muslim Mindanao (BARMM). 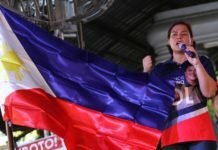 “We have not heard much about the initiatives, and probably since we are now doing the plebiscite on the BOL (Bangsamoro Organic Law) we will eventually have the BARMM, this will be a good time to push those initiatives forward, and create that law, “ DBP chief executive officer and president Cecilia Borromeo said on Friday. She said the DBP-owned Al Amanah Islamic Bank, the only Islamic bank in the Philippines, can help by establishing branches in the BARMM to make Islamic financing more accessible. “If the BARMM will need an Islamic bank, then with the clearance the Department of Finance, the entire Board of DBP is willing to give Al Amanah Bank as its contribution to the Bangsamoro,” she said, noting that the framework for Islamic banking must be enacted to optimize the opportunities that can be offered by the Al Amanah Islamic Bank. She said there are other Islamic financial institutions globally which are interested in Al Amanah Bank but are hampered by the lack of a general framework. Borromeo explained the framework is necessary because Islamic banking is different from the conventional banking system because it offers no interest rate and the arrangement between lender and borrower will be governed by the Shariah law. “There are unique features of Islamic banking, very different from the regular banking that we know like charging interest rate – one basic difference. it’s not allowed under the Islamic banking, so the regulations that will govern the transactions under the purely Islamic banking would be very different from the regular banking that we know,” she said. DBP director Maria Lourdes Arcenas said they want to provide a mechanism for Islamic financing to bring development that reduces vulnerabilities of the people in the Bangsamoro areas, among them related to finance, health, and education. “Any project of development must reduce vulnerabilities especially in conflict areas. 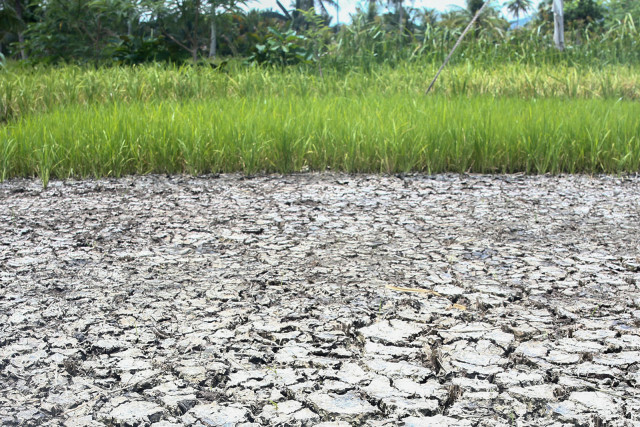 For us now, especially in these kinds of situation, we would like to see development reducing vulnerabilities in these areas, financial vulnerability, health, education,” she said. She said the DBP granted P5 million in regular loan to Mothers for Peace, but the group lent it the “Shariah way” with no interest to the Meranaw women from Marawi who are holed up in Iligan City and Cagayan de Oro. “The Mothers for Peace is borrowing from DBP and applying interest rate but the microfinance on the ground is doing this with our Meranaw women without interest rate and the usual way to is take part of the equity,” she said. But Acenas said some P1.6 million has been downloaded to women beneficiaries so far, as many of them are afraid to take out loan for fear of not being able to repay it. She said the project targets to benefit around 300 Meranaw women. “The leaders (Mothers for Peace) provided a collateral. 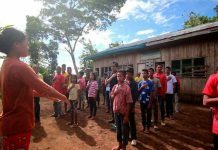 They took a a chance on our women, you have to take a chance on the conflict areas because… it is not incumbent on MinDA (Mindanao Development Authority), it is not incumbent on DBP, but there are institutions on the ground that need to take chance on peace and development,” she said.